Another tragedy has taken the life of a truck driver while on the road doing his job. 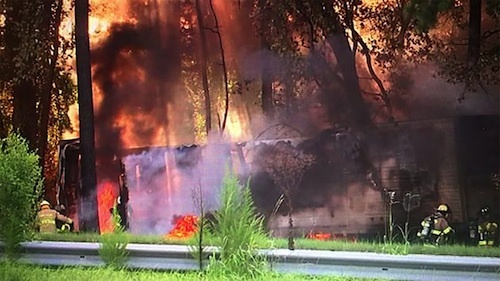 Gale Bernard Beasley died from severe burns after his tractor-trailer veered off Interstate 95 and went up in flames. 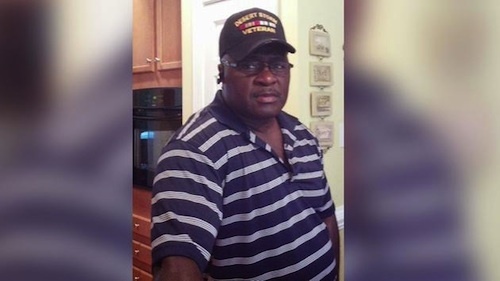 The 61-year-old was not only a truck driver, but also a veteran who served 20 years in the US Army, and a devoted husband, father and grandfather who loved spending time with his family. According to Lt. Jeff Gordon of the North Carolina State Highway Patrol, the incident occurred on Monday evening at around 6:30 pm on I-95 in Cumberland County near the Exit 58 overpass, also known as the Goldsboro Road/I-295 exit, located northeast of Eastover. 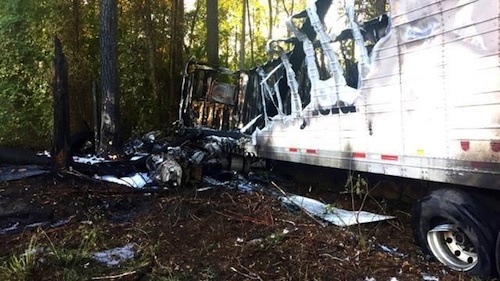 Motorists who witnessed the accident stated in reports that a 2013 Freightliner tractor-trailer with an enclosed trailer was traveling south on I-95, when it suddenly reduced speed and ran off the road to the right. The semi then continued traveling down an embankment, striking several trees along the way and then caught fire. Before anyone was able to approach the vehicle to assist the driver, it became completely engulfed in flames. Beasley had actually managed to get himself out of the vehicle and at first it appeared he might have survived the ordeal. However, the rampant flames had already taken their toll. “He was able to exit the cab of the vehicle but suffered severe burns,” said Lt. Gordon. Bystanders had already called 911 and emergency responders started arriving at the scene almost immediately after the crash but it was quickly recognized that an airlift was the only possible chance of saving the man’s life. Both the south and northbound lanes of I-95 were shut down for about 10-15 minutes as emergency workers prepared to airlift Beasley and according to Lt. Gordon, he was eventually life-flighted to the UNC Burn Center. All northbound lanes were then reopened and the southbound lanes remained closed as investigators processed the scene and the cleanup ensued. On Tuesday, officials announced the tragic news that Beasley died in the hospital from the injuries and burns he sustained from the fiery accident. Investigators have still not determined what exactly caused Beasley to go off the road in the first place. The funeral service will be held at 12:00 p. m. on Saturday, July 23, 2016 at New Bern Eastern M. B.Association 885 Hwy 306 N, Grantsboro. Burial will follow at Mt. Zion Church Cemetery, Arapahoe. Gale is survived by his wife Retha Beasley, children, Juanyetta and Mi'Gale Beasley, and grandson Elijah. R.I.P. driver. Thank you for serving our country and being a service to the people. May you arrive at the gates of heaven blowing you air horn in rejoice. You can noa help move the clouds from the sunshine. Prayers to the family. Rest in peace Mr Beasley..salute..to your 20 yrs service. RIP Gale Beasley and thank you for your service! RIP driver ,truck fires during a crash, starting to see more of this, I would say it's due to all the new emissions on these new trucks , very high exhaust temperatures any fluid leak you don't have much of a chance , I guess they never thought of that . Wow, such a shame. My girl and I ran into him a few weeks back and were talking to him. Extremely nice guy, had me in stitches the entire conversation. May you rest in peace gale, I am glad I was able to meet you. RIP, we will take it from here brother. Rest in peace Sir, thank you for your service to our nation, both in the military, and behind the wheel! R.I.P driver! Hammer down to heaven's guard shack! A terrible loss!!! So sorry his life ended in such a fiery ending! God bless to all effected by this tragedy!!! The flash point of diesel fuel has been lowered. Thank the EPA for more trucker deaths. R.I.P Brother!!! Prays to ur Family! R.I.P. Driver b Praying 4 d Family!!! Does anybody know where this happened and where the driver was from? Looks like NC on I95 at x85. It appears he was from OK.
R. I. P driver. My condolences to you're family.. Thank you for you're service to our country. I Hope and pray that he was saved by the haven farther. God bless your soul sir. Rest in peace. R I P Prayers for family.